An Ancient Peace is Shattered... ...and a desperate escape begins. Peace has reigned over Aereas for five hundred years. After millenia of conflict, the Am'Segid people have turned their once war-ravaged planet into an idyllic utopia healing the sins of their fathers. After a summer spent laboring at an archaeological dig, Calier is looking forward to returning to his city, his family and his post as a professor at the university. A historian, he knows better than most what a blessing it is to live in this time of unprecedented peace and cooperation. However, his worst fears are realized as he witnesses the brutal destruction of the city by a mysterious invading army. Thrust into a confusing new world of death, carnage and war, Calier must navigate the enemy infested streets of the city he calls home. Separated from his loved ones and with no knowledge of their survival, Calier is forced to make the impossible decision of leaving them in fate's hand. His fate lies along another road. A road that leads out of the city and into the beautiful, but wild Aerean wilderness. Rescuing Berit, an injured young woman, Calier feels the added weight of responsibility to return her to her family. 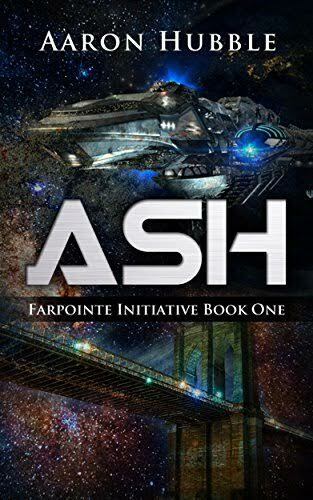 Leaning upon Maltoki, a former graduate student, for help, Calier looks for safety and answers to where the black uniformed army comes from and why they have turned Aereas into a planet of war once again.